Tom Petty — frontman of Tom Petty & the Heartbreakers and member of Mudcrutch and the Traveling Wilburys — has died. The iconic Southern rocker had been rushed to hospital Sunday (October 1) after reportedly being found unconscious and in full cardiac arrest at his home in Malibu. 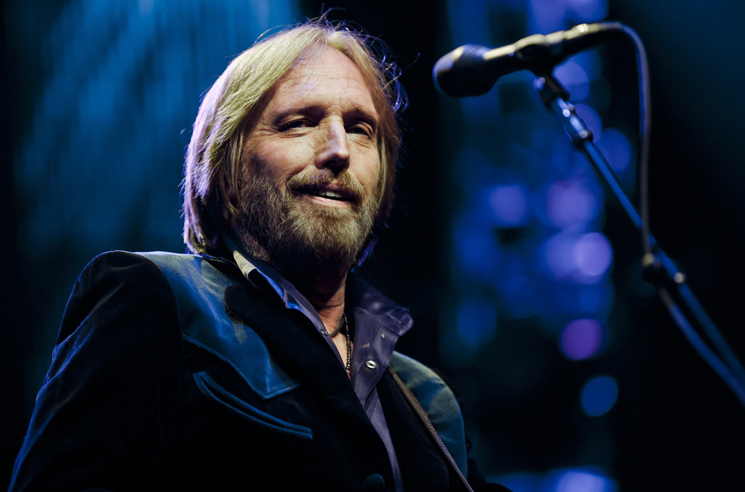 Soon after initial reports emerged that Petty was put on life support, CBS confirmed his passing. He was 66. UPDATE (10/3, 12:52 a.m. EDT): Tom Petty and the Heartbreakers manager Tony Dimitriades has confirmed Petty's passing. "On behalf of the Tom Petty family, we are devastated to announce the untimely death of of our father, husband, brother, leader and friend Tom Petty," he said in a statement. "He suffered cardiac arrest at his home in Malibu in the early hours of this morning and was taken to UCLA Medical Center but could not be revived. He died peacefully at 8:40 p.m. PT surrounded by family, his bandmates and friends." UPDATE (10/2, 5:40 p.m. EDT): There are now conflicting reports in regards to Petty's death, with CBS backtracking on its initial story that Petty had died earlier today. While first citing the LAPD confirming his passing, the police department has now stated it has not confirmed the musician's death to anyone, according to The Hollywood Reporter. TMZ also reports that Petty is "still clinging to life" but not expected to survive the day. Born in Gainesville, FL, in 1950, Petty first had a hand in forming Mudcrutch in 1970. Though their local following was strong, the band split up only five years later, with Petty, guitarist Mike Campbell and keyboardist Benmont Tench forming the Heartbreakers in 1976 with fellow Gainesville musicians Stan Lynch (drums) and Ron Blair (bass). The band delivered their self-titled debut as Tom Petty & the Heartbreakers that same year. Though it received little attention in the United States upon its release, singles "American Girl" and "Breakdown" went on to become rock radio staples that can still be heard on the airwaves today. Petty and the Heartbreakers found further success upon releasing their sophomore LP You're Gonna Get It! in 1978 and Damn the Torpedoes in 1979, the latter of which spawned staples "Don't Do Me Like That" and "Refugee." The 1980s saw the band deliver four more full-lengths: Hard Promises (1981), Long After Dark (1982), Southern Accents (1985) and Let Me Up (I've Had Enough) (1987). In 1988, Petty became a member of the Traveling Wilburys, a supergroup that also included ex-Beatle George Harrison, Bob Dylan, Roy Orbison, and Electric Light Orchestra's Jeff Lynne. The following year, he released Full Moon Fever, a record billed as his first solo effort that featured beloved hits "I Won't Back Down," "Free Fallin'" and "Runnin' Down a Dream." Petty got back together with the Heartbreakers in 1991 to release Into the Great Wide Open. The band also delivered a Greatest Hits collection in 1993, featuring single "Mary Jane's Last Dance" and a cover of Thunderclap Newman's "Something in the Air." Petty then released a second solo album titled Wildflowers in 1994, marking a move to Warner Bros. from MCA. The Rick Rubin-produced effort sold over three million copies in the United States, featuring hits "You Don't Know How It Feels" and "You Wreck Me." Petty and the Heartbreakers provided the soundtrack to Edward Burns' film She's the One in 1996, before recording Echo with Rubin at the helm once more in 1999. The band released The Last DJ in 2002, which featured Petty turning his lyrical pen towards the music industry for some scathing critique through song. Petty released his third solo disc Highway Companion in 2006 before reforming Mudcrutch in 2007. He released a self-titled LP with his old group in 2008, before releasing Mojo and Hypnotic Eye with the Heartbreakers in 2010 and 2014, respectively. A second album with Mudcrutch followed in 2016. Petty and the Heartbreakers had most recently wrapped a lengthy tour in celebration of their 40th anniversary as a group, which was also marked by the release of two career-spanning box sets. Find reaction to Petty's passing from industry figures and fans below. Get Tom Petty's Greatest Hits on vinyl via MusicVaultz.